London, Oct 28 (IANS) Arsenal chief coach Arsene Wenger said he is hungrier than ever to win the English Premier League (EPL) title. 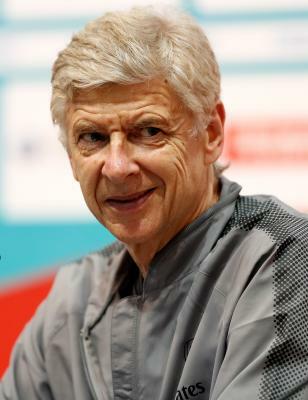 Arsenal are currently fifth in the EPL table with 16 points after nine matches. “I was always hungry, but I’m more hungry than ever because the demands are higher,” the 68-year-old was quoted saying by The Independent on Saturday. “I didn’t win the Premier League for a long time, and because I want to do that before you get me out of here,” Wenger added. The French who last won the EPL title in the 2003-04 season said he always had something to prove to the club and its fans since then. “I have always got something to prove, if I play with you now we go out there and play four v four you will see that I will try to win, we can play one v one if you want,” Wenger said. Wenger who has been at the helm of Arsenal since 1996 said he is still at the club to compete and not for any financial gains. “Yes I have experience but there are two ways: you ignore your age and you live like you live forever, or you think ok — I think I am born for competition. I don’t know why, and what happened, but it is like that. No matter what I do,” the former midfielder said. “The need is the desire to compete. That’s my real need. It has never been financial. If it was financial I would not be here,” Wenger added.